Some ancient methods of understanding the natural world relied on symbology and the unique appearances of plants, animals, and other life form’s signatures. By learning about signatures in nature, we can gain insight into the properties of plants, how they may be supportive to humans, and even glimpse an understanding that all things are connected and present in relationship to one another. This article will offer you a glimpse into the more poetic and intuitive side of herbs. I hope to bring you into a closer understanding of plants through direct observation, and by this, an even deeper comprehension of their beneficial properties. On the more mysterious side of herbalism, plants have their own language and their own special way of being here—existing with us on planet Earth. For anyone who is on a path of deeper connection with the plant kingdom or has been in a relationship with plants and herbs for a long time, it can feel very much like a devoted relationship one may have with a family member or partner. It ebbs and flows, needs tending to, and can feel unsettling at times. A relationship is a constant exchange of energy between ourselves and the other. A long time ago, when stories and oral traditions were the internet superhighway, those devoted to plants and their use in healing work did not necessarily say hello to a medicinal herb in the garden and then go inside to one’s reference library to read all about it in order to increase their knowledge of that plant. These herbalists of yore had only themselves, the plants, and the cosmos. Talk about an excellent teacher and classroom! When we take away the layers of tools we have, we are left with only ourselves and the plants. This kind of self-reliance offers an opportunity that can be realized through deep listening, observation, and non-judgment of one’s interpretations. Some cultures throughout time continued this way of learning—by being with the natural world entirely as their teacher. The way plants show themselves through their colors, shapes, textures, scents, and locations are within our perception and can be understood more fully through the mind’s eye. These appearances are subtle, yet they reflect the profound marks of a plant’s capabilities within its environment and potentially within human bodies. One ancient practice of using plants for their beneficial capacities through direct observation is called The Doctrine of Signatures. Here I will demonstrate a few signatures that can be incorporated when working with plants, particularly a plant that may be new to you. Possibly one of the easiest ways to read a plant is through its color. Let’s take a plant like lavender (Lavandula spp.) from the Lamiaceae family as an example. How do you see it? This soft yet magnetic shade exists somewhere between violet and blue. Of what does the color make you think? What are other things in our natural world that are close in color? The sky, other flowers, water? Things inside yourself? Blue and violet, as colors in the visible color spectrum, have a higher frequency (vibration) and a shorter wavelength. Making an example of this draws a connection between the energy centers of the human body and where this energy travels in us. For those who are familiar with the ancient chakral model, blue, violet, and magenta represent the throat, third eye, and crown chakras. It’s within this beautiful variation of color that lavender exists. Lavender is ascending in its color, reaching up and out of the body. These energy centers are where communication, listening, music, vision, insight, channeling, lightness, openness, and connection to the divine are held, exercised, and balanced. Lavender has an affinity for the nervous system. It soothes headaches, eases tension held in the tissues, and can be restorative (Culpeper, 1975). Lavender also helps to bring clarity by way of gently cleansing and clearing stuck energy all throughout the body. It can aid in the area of communication by offering articulation of thought, speech, and insightful listening (Bennett, 2014). This beautiful and multifaceted plant ally is used in many hair care products—and while this was likely not an intentional reason for formulation, it can possibly provide a direct link to the decorating and activation of one’s crown chakra; so might lavender flowers or essential oils in a facial cream or a massage oil for the temples. I hope this information will help you connect more intuitively to lavender and other plants by understanding where they may assist in your body through observation of color. Another possible way to observe a plant is through its shape. Take note of the direction in which the leaves may grow, or with a little imagination, how the lines and shapes can resemble a body part, animal, or celestial body. These visions can direct us towards the plant’s energy, and furthermore, its possible relationship to the body systems of the human form. An example of signature through shape is a white pine tree (Pinus strobus) from the Pinaceae family. Trees in general have deep roots, strong trunks, and a lot of strength to withstand weather and time. When looking at a pine tree, we may perceive its rootedness mirroring its array of branches and leaves swaying up toward the heavens. Trees resemble the human form in standing position. The shapes of the pine’s branches and needles are quite intricate, visually mimicking the delicate chambers of our respiratory system. Pine has strong lung tonic support with antibacterial and antioxidant properties (Grieve, 1971). Energetically, the lungs can hold grief and sorrow. One of its many virtues, pine opens the airways helping to clear stuck energy bringing calm and stability. It is called the tree of peace, and rightfully so (Bennett, 2014). Thorns, hairs, resins, and oils are produced by most plants as a means of protection and pollination. These variations of texture are indicators of a plant’s personality and health supporting capacity. Sometimes the surface of the plant is where the very health benefits are held! A wonderful example and ally to many herbalists is mullein (Verbascus thapsus) from the Scrophulariaceae family. Mullein leaves are soft and fuzzy, resembling the ciliated tissue of the respiratory system (Maurer, 2013). For those in need of short-term assistance during a cough or lung infection, long-term support of asthma, or even encouraging the body in lung repair—mullein is a renowned and dependable choice. It has been used traditionally for many years as a lung tonic and expectorant and is prepared in a myriad of ways for healing benefit. Possibly one of the most enjoyable signatures and direct ways of receiving a plant’s health benefits is through its scent. This is what the art and practice of aromatherapy is all about! Some plants, especially flowering plants, contain aromatic volatile oils. These aromatic oils are internalized through receptors in our nasal passages and have a direct effect on our bodies (Maurer, 2013) via the olfactory bulb in the brain. Peppermint (Mentha piperita), from the Lamiaceae family, is a great example. Its clean, refreshing scent invites clarity and calm throughout the body. When you smell peppermint, a signal is given to your brain and your brain responds by sending messages to different areas of the body, resulting in a variety of health effects. Not only does this wonderful plant help regulate fevers, but it can help calm an upset stomach and an overactive nervous system as well—all thanks to its stimulating and cooling scent (Grieve, 1971). Where plants live and grow shows a great deal about their relationship to that region. It also suggests the plant’s potential in a supportive relationship with the human form. The doctrine of location varies quite a bit, as it’s not necessarily a visual tool like the other doctrines, but instead, a vast understanding of bioregions and terrain. The plant kingdom is connected entirely, communicating with one another above and below ground. Every plant’s personality is specific to the growing conditions it needs in order to photosynthesize sunlight and carbon dioxide into food. Take the aloe vera plant (Aloe barbadensis miller), from the Liliaceae family. It can be found growing in dry, arid regions, like the desert, and this plant stores its water from these dry conditions. The inside of the aloe plant holds the wonderful thick, moisturizing, and cooling gel we use in many herbal, body care, and even food products. Aloe vera is often used as a first aid plant for burns and skin irritations. It is also used to assist with constipation and inflammation in and around the body (Sujushe, Vasani, & Saple, 2008). What a beautifully supportive and protective plant, not only for itself, but the environment and humans surrounding it. “What is below is like that which is above, and what is above is like that which is below” (Copenhaver, 1995 p. 60-61). The mystic Jacob Boehme published the book Signatura Rerum: The Signature of all Things in the 1600s, and the book was republished in the United States in 1923. Boehme fully believed that certain stars ruled plants and from here a person could be diagnosed and treated by the effects of the plant’s astrological influence (Boehme, 1912). Boehme was one of many writers and mystics who demonstrated their understanding of this concept, including Plato, Gerard, Culpeper, and Paracelsus (Waterfield, 2001). A plant’s connection to the cosmos is a more elaborate practice within the Doctrine of Signatures and worth seeking. The idea of macrocosm to microcosm, galaxy to flower mirroring one another is the true essence of the Doctrine of Signatures (Graves, 2012). If you’d like to learn more about the Doctrine of Signatures, an excellent and comprehensive book is The Language of Plants: A Guide to the Doctrine of Signatures by Julia Graves. It is a wonderful introduction and elaboration on the way the concept of Doctrine of Signatures can help us understand our plant friends. Bennett, R. (2014). The gift of healing herbs: Plant medicine and home remedies for a vibrantly healthy life. Berkeley, CA: North Atlantic Books. Boehme, J.S. (1912). Signatura rerum: The signature of all things (Forgotten Books). New York, NY: E.P. Dutton. Copenhaver, B.P. (1995). Hermetica: The greek corpus and the latin asclepius in a new english translation. Cambridge, UK: Cambridge University Press. Culpeper, N. (1975). Culpeper’s complete herbal: Consisting of a comprehensive description of nearly all herbs. London, UK: W. Foulsham & Co.
Graves, J. (2012). The language of plants: A guide to the doctrine of signatures. Great Barrington, MA: Lindisfarne Books. Grieve, M. (1971). A modern herbal volume II. New York, NY: Dover. Maurer, S. (2013). 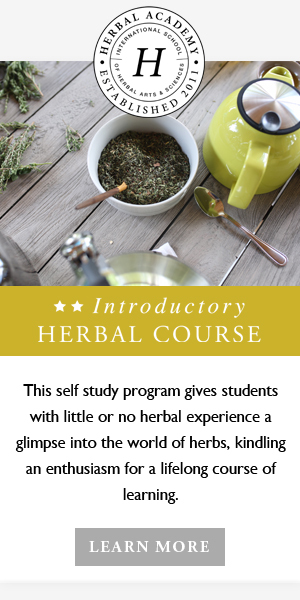 Sacred plant medicine apprenticeship class handouts. Gaia School of Healing and Earth Education. Waterfield, R. (2001). Jacob Boehme (Western Esoteric Masters). Berkeley, CA: North Atlantic Books. Rachel Fae Coleman was born and raised in a Navy family having lived a childhood across the eastern seaboard of the United States. She has a lifelong background in the arts - namely; sewing, photography, writing and dance. Rachel is a Traditional Herbalist & Plant Spirit Educator, writing, teaching, running a small batch apothecary, and setting up shop at events under Idyllic Land Studio. You can connect with her on her blog and on Instagram.